We are a small family owned breeder. 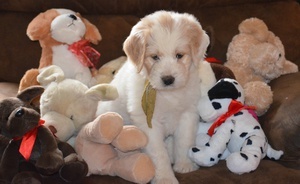 We have specialized in AKC show dogs and therapy dogs in the past. All of our dogs live in our home and are well loved by our family of 5 children and 3 grandchildren.